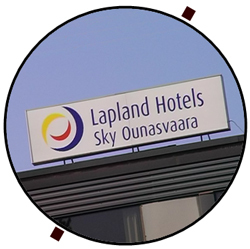 Lapland Hotels Sky Ounasvaara is the hotel that overlooks the Ounasjoki – river. 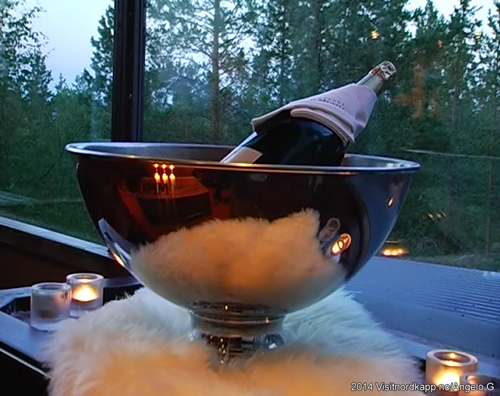 It is not in the center of Rovaniemi and it is a great hotel if you need a feeling of space. 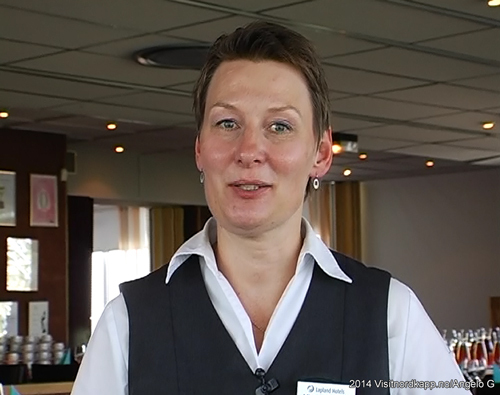 The General Manager Ms. Mira Söderlund wasn’t available on our first day of the visit. Kids in Finland start in school early August and she was attending the start of the school year. On the day Angelo and I left Rovaniemi, we were able to meet. Mira emphasized two qualities at the hotel she has been working at since 1998. The first is the view. Sitting on top of the Ounasvaara (the fell) the panorama of the surroundings is refreshing. We had been running from one adventure to another in the lowlands and spending the night a little higher was much appreciated. The hotel has made the roof of the building a key feature. In the summer you can with a few steps be on this roof. Even the local people of Rovaniemi are coming to the hotel just to be on the roof. On our first night, the sunset was spectacular. Mira invited us back in the wintertime. Then you can use the terrace to get closer to the Northern Lights, she said. The second best quality the hotel has is the restaurant. Another reason the local people of Rovaniemi are paying the hotel regular visits. With pride, Mira says that we are lucky to have award winning and excellent chefs. And we keep striving to achieve more in the culinary world. We are very focused on serving the best Lapland can offer, local food and tasty dishes à la carte. We change the menu frequently and have different menus for different seasons. Along with dinner is the connoisseur brew and wine from the fully licensed menu. We have two beverage menus, The Sky heavenly wines – special wines, and the standard wines – good quality wines but not so pricy. The staff will happily recommend what goes well with the dinner. The Hotel was built in 1968-69 and the restaurant in the late 80s. When the guests dine in the restaurant, in weddings, big events or just on an ordinary night they feel like sitting in a boat with a great view in the middle of the forest. From the boat you can watch kids on their bikes riding down the ski slopes. The ski lift next to the hotel provides you with another alternative evening stretch besides a short hike in the vicinity. We’ll be back on the fell top!